So your software is up and running and you’re ready to breathe a sigh of relief. The hard part, coding the web or mobile app, is over now. Or is that really the hard part? The highest form of success for any app developer is getting people to use that piece of software. High levels of engagement show that what you’ve created is truly useful to your target market. It’s also a metric that investors take into consideration when handing out capital. So here’s a look at a few ways you can get users coming back to your app–again and again and again. You can’t tailor your pitch to an audience unless you know who you’re talking to. So the most important prerequisite to the rest of the strategies in this article is to carefully study your prototypical user. It isn’t enough to know how your product solves a problem they face at their job; you have to dive into what motivates them, where they spend their time, and so on. It’s possible that your target audience isn’t one kind of person, but many different groups of people. In that case, it is important to group your users into logically coherent cohorts and segment messaging accordingly. Check out this post from our blog to learn more about why and how to categorize users. Lots of developers and SaaS marketers obsess over enhancing user engagement when what they have already offered users doesn’t do what it needs to. It’s essential that you build your engagement campaigns on the solid foundation of a functional web or mobile app. This is where testing thoroughly comes into play, so you can ensure that all basic functionality works across different platforms and browsers. With each time an app crashes or throws up a faulty response, engagement rates are more likely to suffer. So make sure that your app’s front-end and back-end are designed to deliver as promised. Leaving users feeling rewarded for having used your app is a powerful way to boost engagement metrics. You know that feeling when you login to Facebook and see a comment you made has more likes than you expected? That’s the kind of positive reinforcement that keeps its more than billion users coming back. So what is a reward loop? It is the combination of a trigger, which brings users to a web or mobile app, along with the benefit that they derive from doing so. The reward can take on many different forms. For example, Stack Overflow uses the concept of ‘reputation’ points and privileges to encourage users to answer questions and vote on others’ responses. Nir Eyal has written extensively on how to create habit-forming products using reward loops. Too many mobile app makers develop what they think is a solid piece of software and leave users hanging once it’s been downloaded. That’s not what you want to do if you’re hoping for high levels of engagement on your app. Interacting with users and giving them the information they need when they need it is the cornerstone of a smooth user experience. That doesn’t necessarily mean offering 24/7 customer support or constantly firing off emails to find out what you can improve. Things as simple as an FAQ section and thorough documentation count as effective communication. 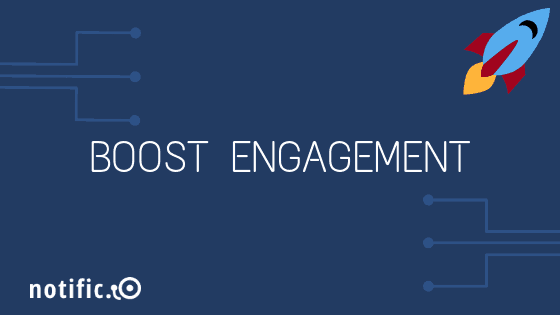 Remember that engagement is a two-way street, and you have to do your part to get the results you want. Because they work! 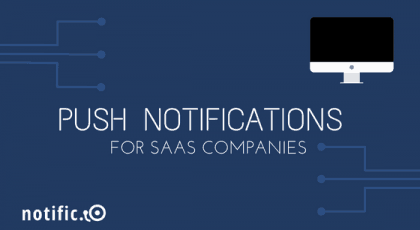 There’s plenty of data out there to show that notification systems are a great way to increase engagement on apps. 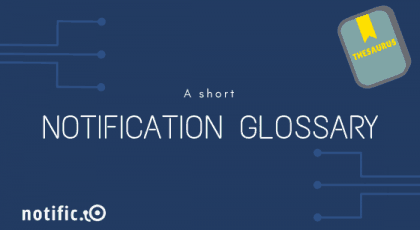 Notifications come in different shapes and sizes, and the format you use will be determined by what you’re trying to achieve. 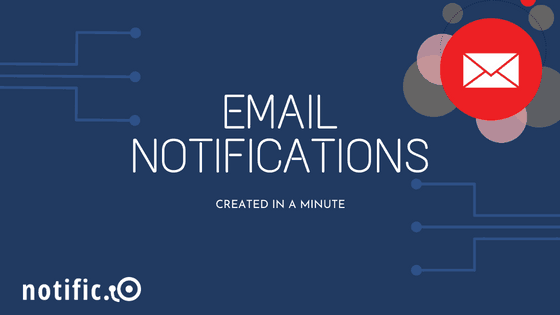 For example, an email notification works great when you’re onboarding users. On the other hand you might use a mobile push notification for a daily or weekly update. 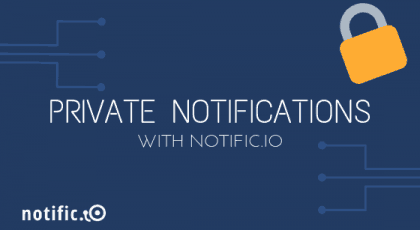 Thanks to Notific.io, building a notification system for your app is easier than it’s ever been. This post goes over how you can set one up for your web or mobile app in just a minute.